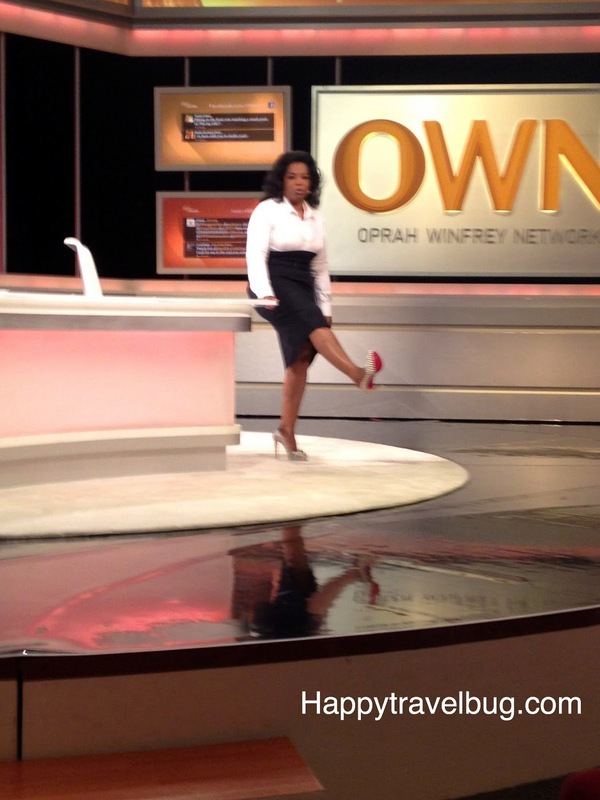 Recently I was blessed with tickets to Harpo Studios in Chicago, IL to see a taping of Oprah’s Lifeclass with Iyanla Vanzant. What an exciting experience! Definitely something that not a lot of people get to do. Honestly, I could attend every taping and never get tired of it. 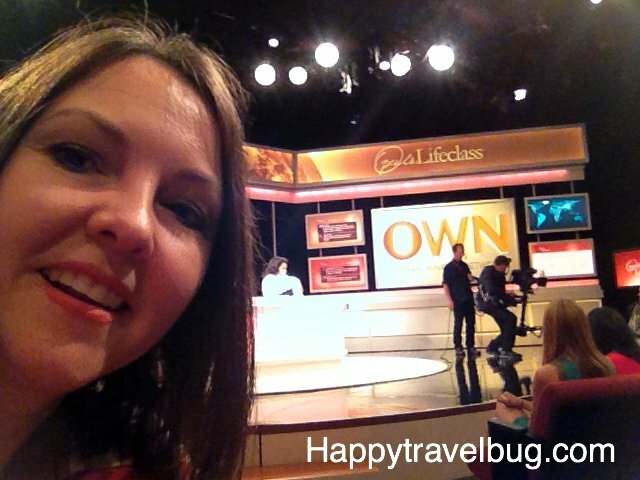 I am a huge fan of Lifeclass, as well as many of the new shows on the Oprah Winfrey Network, OWN. My favorite shows are ones that teach me something or help me grow as a person. Super Soul Sunday is the best, along with Lifeclass, Our America (with Lisa Ling) and Oprah’s Next Chapter. Anyway, it was a blast and I wanted to share my experience with you. Here are my pictures and even a few videos from that day. Before the show started…super excited they let us bring in our phones! Started taking pictures immediately! I am officially THE WORST at taking pictures of myself! Sally Lou (I hope that is right!) was warming us up & giving us the in’s & out’s of the day! Didn’t I have AMAZING seats! Blessed! They showed the audience a preview of upcoming OWN shows. 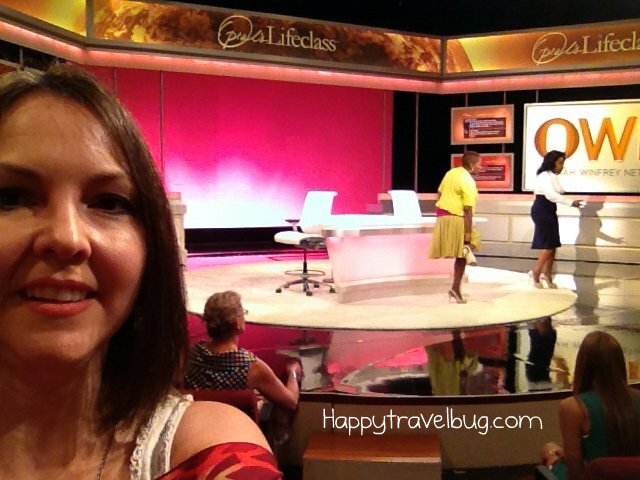 When Oprah & Iyanla came out, everyone stood up & cheered! I had a cleared path right to the stage, not a single person in my way of taking great pictures! Iyanla doing her beauty pageant wave! Oprah had some of her “girls” in the audience. These are her South Africa students that would be going to the United States for college this year. She introduced them and had them stand up. Discussing the topic of “Why Women Are Mean to Each Other”…interesting topic. Andre came out at the break to fix Oprah’s hair. Video of Oprah & Iyanla talking during the break. There it is again on the other side of the stage. In this one I can actually make out my twitter name @happyhoyt and read a little of the tweet! Then Oprah & Iyanla went to take a picture with the girl that was crying. Talking to the audience after the show…love her dress! Something made Iyanla laugh, wish I could remember what it was! What a fun day! It started at 7:00am and went till noon. After checking in and waiting to be seated in the audience, we were treated to a preview of Iyanla’s new show called Fix My Life. Looks like it will be another great teaching/learning show on the Oprah Winfrey Network. Hope you enjoyed the photo’s. 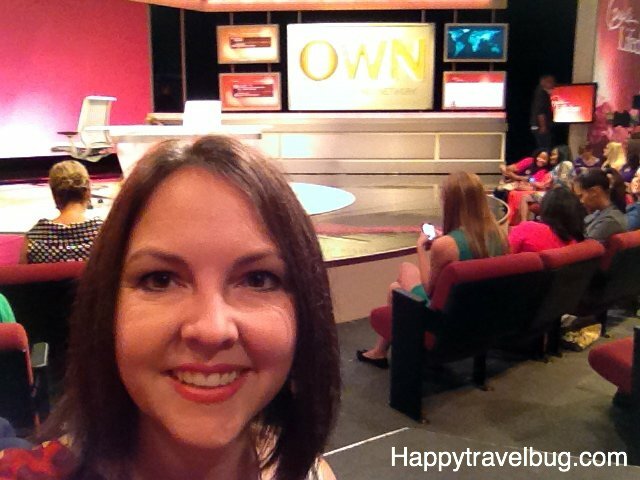 Have you ever been to a taping of Oprah or another television show? Wow! You are so fortunate to have been part of the audience. I admire both Oprah and Iyanla they are a dynamite duo aren't they? They are truly revolutionizing TV and inspiring millions around the world. I'm happy for you that you got to be in such great presence and I bet it is something you will never forget right? Super Soul Sunday is here to stay! It was a great experience. I was so glad they let us take pictures. 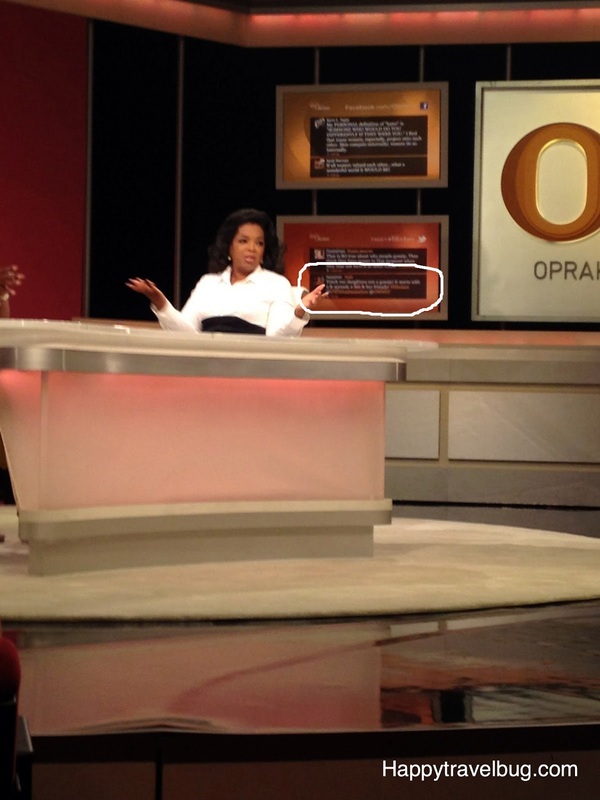 I was able to go to a taping of The Oprah show in its last season and they wouldn't allow any pictures at all. Now they want people to tweet and facebook or blog about their experience to spread the word. I am glad you are a fan. I think they do great work!